For months the Imperium has attempted to evict Out of Sight. [OOS] from the Venal region in vain. Not contend in simply fighting Imperium fleets on its own turf, Out of Sight. decides to take the fight to the Imperium’s underbelly – Its ratting Carriers. What follows is nothing short of a massacre. 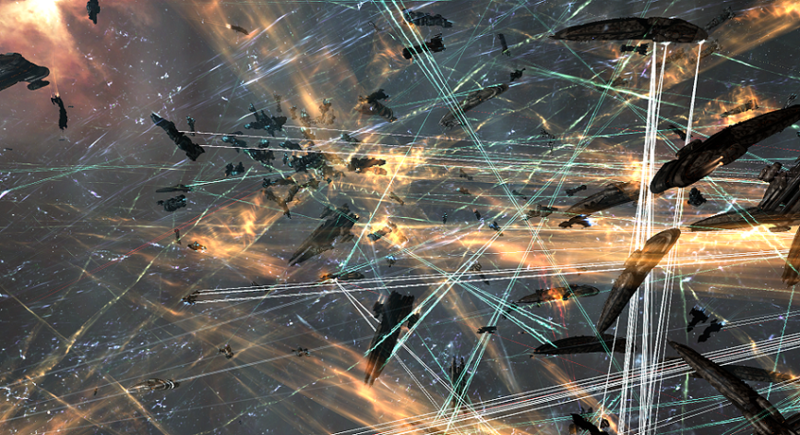 Wormhole fights tend to be often smaller in scale than those in regular space, due to the nature of the community and the space itself. However, what they lack in numbers they more than make up to with their fleet compositions who have to battle both the enemy and the harsh environment. Add to it their level of commitment to a fight and you get some of the most visceral action in the game. Capital forces are used quite widely by Low and Null Security entities to clear towers in systems. These fleets though are in a constant risk of being dropped on by enemies and opportunistic gangs. Sometimes though, that is exactly what they want. One such case is a DropBear Sanctuary [DROP] Capital force bashing a tower only to be dropped on by The OSS [OSS] and 404 Alliance Not Found [U-WOT], who then in turn get dropped on by Pandemic Legion [-10.0] who were called in by DropBear Sanctuary. Memento Moriendo [MEMON] is a recently created alliance formed by a splinter group of corporations from Northern Coalition. [NC]. The alliance had set its residence in the Moldern Heath region and has been clashing with the locals ever since, mostly over moons. One such clash pitted Immediate Destruction [.IED] against the group. Fearing the Super Capital supremacy Memento Moriendo was reported to have, Dead Terrorists [IKILU] were called in to assist and a Capital brawl quickly descended into a one sided slaughter as the two forces converged on the Memento Moriendo Capital fleet. A full battle report can be found here. Regardless, the wealth of videos that come out of such a huge engagement are a beauty to behold. Here are some of the different points of view of the recent largest sub-Capital fight fought in recent history. Of course, what a great blog and revealing posts, I definitely will bookmark your site.All the Best!